Abstract: Airwheel intelligent self-balancing scooter S3 comes a transport intended for city tastemaker. It weighs merely 22.4 kg, but it holds an astonishing top speed of 18 km/h, which suffices to serve the end of shopping, excursion and going to work. Plus its unique exterior look, it is adored by those who like getting around alone. Airwheel intelligent self-balancing scooter S3 is conceptualised as a perfect way of locomotion. Streamlined and sleek contour, Airwheel S3 is carefully crafted from head to foot. In respect of its body work, Airwheel electric scooter S3 is coated best-in-industry with magnesium alloy. This ensures the sturdy nature of S3. The casing of Airwheel S3 is made of natural rubber and advanced polycarbonate material. High-quality materials confer understated elegance on Airwheel S3. Airwheel S3 is the sate-of-the-art means of transportation adopting aerospace attitude control theory, fuzzy software algorithm and gyroscope system to maintain balance by leaning forward and backward. Riders can control the vehicle to go forward, accelerate, decelerate, and brake, etc. by leaning forward or backward. Similar to the techniques of riding a bicycle, the riders achieve balance on Airwheel by slightly tilting sideways. The traffic jam is quite common especially in the large city like New York and London, which is a big bugbear to office commuters. Airwheel electric two-wheeled scooter S3 presents an expedient solution to traffic jam. 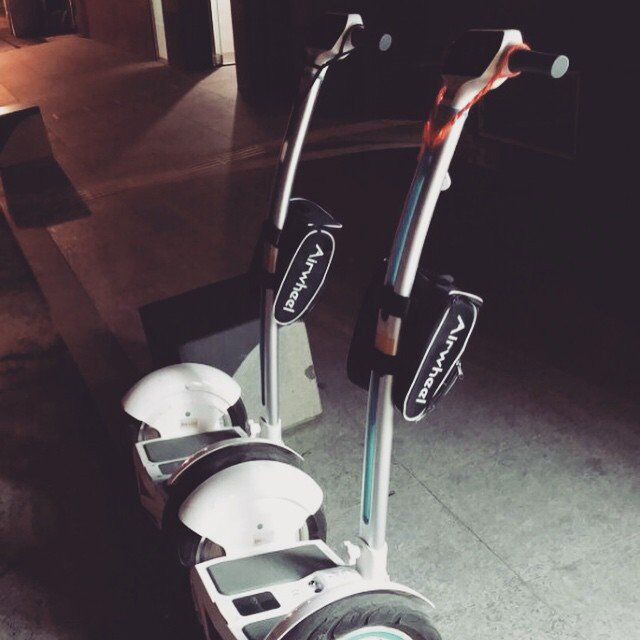 With it, you can scoot about in the city at pleasure. The worry about traffic congestion is to go out of the window. Much to your excitement, bright colourful LED displays are mounted on Airwheel S3. In the evening, Airwheel S3 with colourful LED displays turned on looks dearly beautiful. In eyes of avid tastemakers, it is the first choice. Airwheel S3 dispels people’s worry about the traffic jam during commuting. Plus it makes a good contribution into the cause of protecting environment in the city. It would be wise to purchase it.